Hi, I’m Bridget, author and creator of Simply Pawsitive. I identify as many things: a pet owner, dog trainer, tap dancer, and sister being just some of them. Above all, however, I am an animal lover. I grew up surrounded by pets, helping my family foster almost 100 dogs and cats over the years. I also spent four years working at a doggy daycare, and multiple summers involved in various animal behavior internships. I recently graduated from the University of Wisconsin-Madison with a double major in Spanish and Zoology, with an emphasis in animal behavior. From there, I took my love of animals and behavior and started working as a trainer for a dog training company. I have two cats and one dog of my own, who keep me both extremely busy and ridiculously happy. 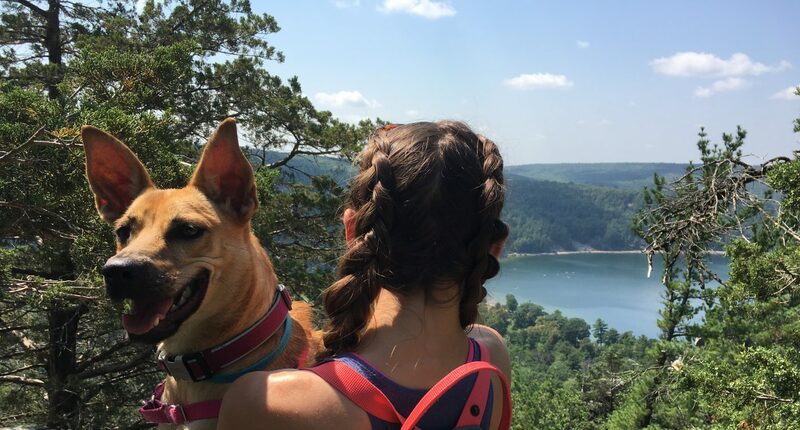 It was adopting my dog, Sasha, in July of 2017 that inspired me to start this blog: though she is an amazingly sweet girl, she came to us with some behavioral issues and had a lot to learn. It made me realize how lucky I am because, having a background in animal behavior and dog training, I knew exactly what to do in order to help Sasha learn and grow into her potential. However, many people who adopt dogs don’t know what to do when they run into behavioral problems or training questions, and I want this blog to be a resource for them. My passion is adoption, and I hope I can help people to see that shelter dogs deserve a second chance: with proper positive reinforcement training and love, dogs will turn into our best friends for life. This blog can also serve as a troubleshooting guide in order to help pets stay in their homes and out of shelters, which is crucial. Above all, I hope people can see just how much our furry companions can grow and learn with great training, love, and care. Thanks for reading! From left to right: Sasha, 1 year old, adopted July 2017; Hamilton (aka Hammy), 2.5 years old, adopted October 2015; Sophie, 13.5 years old, adopted in June 2004.